MVM have delayed their release of Sankarea until January 5th 2015 at the earliest. Anime Limited’s Gurren Lagann Ultimate release has slipped a few weeks to the end of September. And this weekend of conventions around the world has yielded some announcements. Madman Entertainment revealed that they had Giovanni’s Island, and let slip that Anime Limited have it too for the UK. Funimation have also license-rescued The Melancholy of Haruhi Suzumiya, Seasons 1 and 2, and the Haruhi-chan and Nyoron Churuya-san shorts. Haruhi on Blu-ray anyone...? They’ve also salvaged Lucky Star. Blu-ray anyone...? Funimation have also, finally, licensed the Steins;Gate and Strike Witches feature films. Some or all of these should eventually make it to the UK, particularly the latter two movies. Three reviews last week, beginning with two shonen series where the protagonists have been pulled out of their world, and deposited in fantastic other realms to have adventures. First up was the review of One Piece Collection 7, where Luffy and his crew of Straw Hat Pirates have been pulled from the deep blue sea, and lifted skywards to the land of Skypiea, nestling in the clouds. 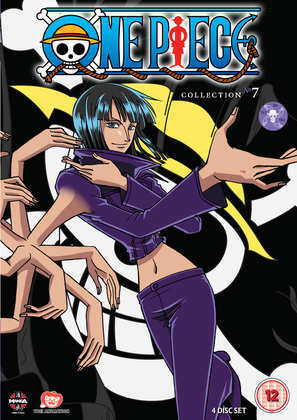 In this volume, the zany pirates face their toughest foe yet, God himself. Click on the review to see how they fare. Next it was the turn of the Fairy Tail Guild, which through no magical fault of their own have been pulled into a parallel world where magic is in short supply, and a despotic king is willing to do anything to recharge his kingdom’s magical batteries. It’s always fun to see well-established heroes coming face to face with their moustache twirling evil doppelgangers, but there are one or two revelations in this collection that have implications for their own world as well. 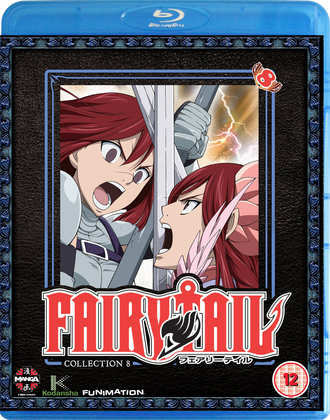 Click on the review for Fairy Tail: Part 8 to learn more. To take us away from all this mainstream anime action, Stuart McLean finished off proceedings with a look at Mysterious Girlfriend X: Complete Series, perhaps the strangest anime series you’re likely to find this year, or indeed any year. It’s a romantic comedy set in high school, about a boy that becomes addicted to a classmate’s drool. Quite naturally she becomes his girlfriend, but this relationship is unlike anything he could have imagined. Don’t be put off by the premise, read Stuart’s review and give this quirky, leftfield series a try. It’s all Manga Entertainment with the shonen, and it’s coming out today, One Piece Collection 7 on DVD, and Fairy Tail: Part 8 on DVD and Blu-ray. 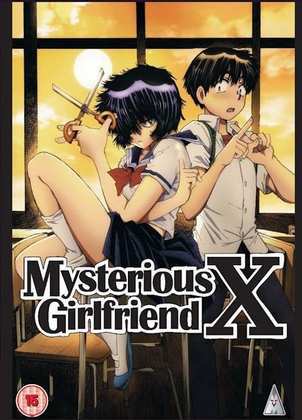 MVM will release Mysterious Girlfriend X: Collection on DVD next Monday, 18th of August.